Natural sweet wine aged in American Oak barrels. Grape variety: 100% Pedro Ximénez. 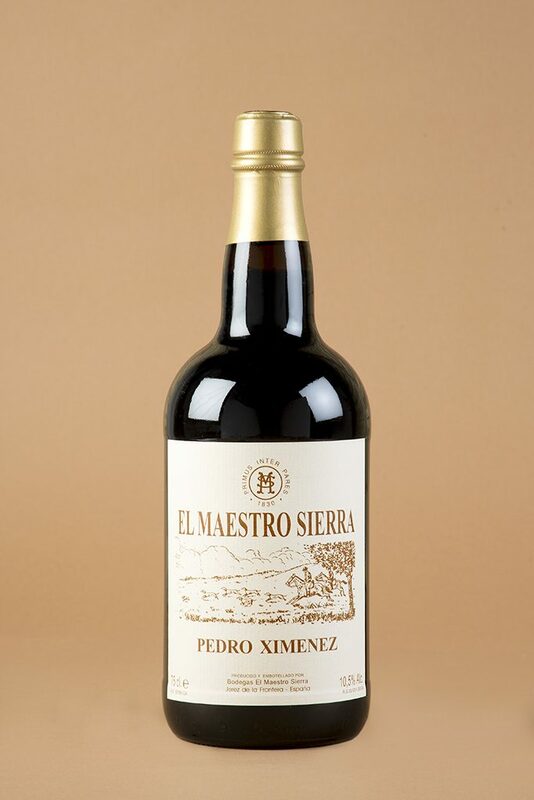 Some of the main characteristics of the Pedro Ximénez de Anticuario El Maestro Sierra (Very Old PX) are its exquisite sweetness, the density of its texture and the harmony of sensations from half a century of ageing. The elaboration is the same as the young Pedro Ximénez but without fortification with alcohol. The 10.5% obtained from natural fermentation and the 50 years of oxidative ageing in American Oak barrels through the system of soleras and criaderas give this wine an extraordinary personality. To the senses: sweet, harmonious, natural, warm. For El Maestro, it goes with… dark chocolate.